Our motorcycle accident lawyers at the Wolfson Law Firm in Miami have represented many clients who were seriously injured in motorcycle accidents throughout Florida. Our lawyers and professional staff have guided the loved ones of those who died in Miami motorcycle accidents through wrongful death claims. The Miami personal injury attorneys at the Wolfson Law Firm have worked with motorcycle accident victims for more than 60 years and we can help you, your family and friends too. Our Managing Attorney Jonah Wolfson is a bilingual personal injury lawyer in Miami and he can help you after your motorcycle accident. Just call us at (305) 285-1115 for a free and confidential consultation. If you were hurt in a Miami motorcycle accident you will want to make sure you hire a good Miami motorcycle accident lawyer. So be a smart consumer. You are the client. You have the power and the choice. Investigate the attorney’s qualifications and case results; check out their reviews online; find out if they have ever handled a motorcycle accident case before; and ask all the questions you have and listen to the answers. You will know if you are comfortable with the lawyer or not. Most motorcycle riders never have an accident. But when they crash, it can be catastrophic and even fatal. Your decision of which Miami motorcycle injury lawyer or wrongful death attorney you choose is very important. So be certain that you have investigated and interviewed the right lawyers to represent you and your family. The Miami motorcycle injury attorneys at the Wolfson Law Firm invite and welcome you to look at our qualifications and recent cases. Call us today for your free and confidential consultation at (305) 285-1115. No matter what you do – get the advice you need and deserve. Don’t be a silent victim. Over the past six decades our personal injury lawyers in Miami have helped clients piece their lives back together after a serious or fatal motorcycle accident. In our experience, motorcycle accidents can be some of the most devastating injury producing occurrences in our practice. Traumatic Brain Injury (TBI) – Even with a helmet, motorcycle accidents can cause brain injuries. It is common sense that if you use a helmet then you will reduce the chances of a brain injury. In Florida, motorcycle fatalities more than doubled after the helmet law was repealed according to AAA. The same can be said for brain injuries. TBI, as traumatic brain injuries are known, can be obvious from the start or more subtle yet still serious. Even a “mild” TBI can affect how a person functions in everyday life. They might freeze in an emergency situation because their brain does not work like it did before. Traumatic brain injuries from motorcycle accidents can also impact an individual’s ability to work and earn a living. Our Miami Motorcycle Accident Attorneys always recommend to get a thorough medical exam after a motorcycle accident including a neurological consultation. Broken Bones – Fractures of all kinds are common in motorcycle injuries. Most common are fractures of hands, wrists, shoulders and the pelvis. If a motorcycle driver is thrown from the bike because of an impact, the instinctive human reaction is reach out to break their fall. Many people will cover their faces in a motorcycle accident. It is just our survival instincts that kick in at that critical moment. By covering the face or reaching out the motorcycle passenger and driver will leave the rest of their bodies open to injury. That is one of the reasons our Miami motorcycle accident attorneys see so many hip, pelvis and leg fractures following motorcycle crashes. Spinal Cord Injuries – In some motorcycle accidents a spinal cord injury is obvious right away. In many cases, the cord injury only becomes clearer over time. Often the most serious and obvious injuries are dealt with through life saving measures in an emergency room setting. Once the motorcycle injury victim is beyond the critical stage will spinal cord injuries become more obvious. Spinal cord injuries may include cord swelling, disc herniation, disc bulges, nerve damage and muscle atrophy due to nerve damages. Recovery from spinal cord injuries can take years or it can result in a lifetime of pain and suffering. Road Rash and Abrasions – Motorcycle riders are familiar with the term “road rash”. It usually comes from having to lay the bike down in an attempt to avoid a more serious collision. It is unusual for our Miami motorcycle serious injury attorneys to see a motorcycle accident victim who doesn’t have some form of road rash or abrasions from a motorcycle wreck. Burns - Many of our motorcycle injury clients suffer some type of burn in their accidents from coming into direct contact with their own bike. 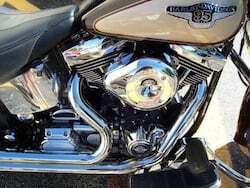 Motorcycle engines run hot and are inches from the motorcycle operator and his/her passenger. Sprained or torn muscles, tendons and ligaments – Motorcycle accidents can result in a variety of injuries from whiplash to sprains and strains to tears. Many of these conditions will require surgery but all of these injuries need medical attention, care and treatment. Internal Bleeding – The sheer force of a motorcycle accident can cause serious and significant internal bleeding from direct trauma. Bodily Organ and Tissue Damage – Many victims of motorcycle accident negligence are thrown from the bike. The impact from the car or truck that hit them plus wherever they land can cause tremendous damage to internal organs and tissues. Motorcycle accidents can result in injuries and loss of vital organs such as kidneys, spleen, liver, and lungs to mention a few. In addition, soft tissue injuries can occur and result in significant pain. Bruising, contusions, and lacerations – The forceful impact of a motorcycle accident can cause serious and significant lacerations, cuts, contusions and bruising. These injuries must be medically monitored and managed to avoid complications. Some lacerations and cuts will require stitches and leave permanent scarring that may ultimately require surgical revisions by a qualified plastic surgeon. If you were injured in a motorcycle crash, call the Miami Personal Injury Attorneys at the Wolfson Law Firm. If a family member or loved one was tragically killed in a motorcycle crash, then call our Miami Motorcycle Accident Wrongful Death Lawyers. Allow us to assist you and your family the same way we have helped clients in Florida since 1963. Our Managing Attorney Jonah Wolfson is a bilingual motorcycle accident injury lawyer and is available to speak with you and your family members today. Our motorcycle accident serious injury lawyers in Miami have helped clients from the communities of Florida City, Homestead, Redlands, The Falls, Liberty City, Miami Lakes, Hialeah, Key Biscayne, South Beach, Weston, Pembroke Pines, Miramar, North Beach, Edgewater, Midtown, Pompano Beach, Victoria Park, Opa-Locka, Coral Springs, Lake Worth, Palm Beach, Wilton Manors, North Lauderdale, Ojus, Hialeah Gardens, Tamarac, Princeton, South Miami and all of the unique neighborhoods of South Florida.